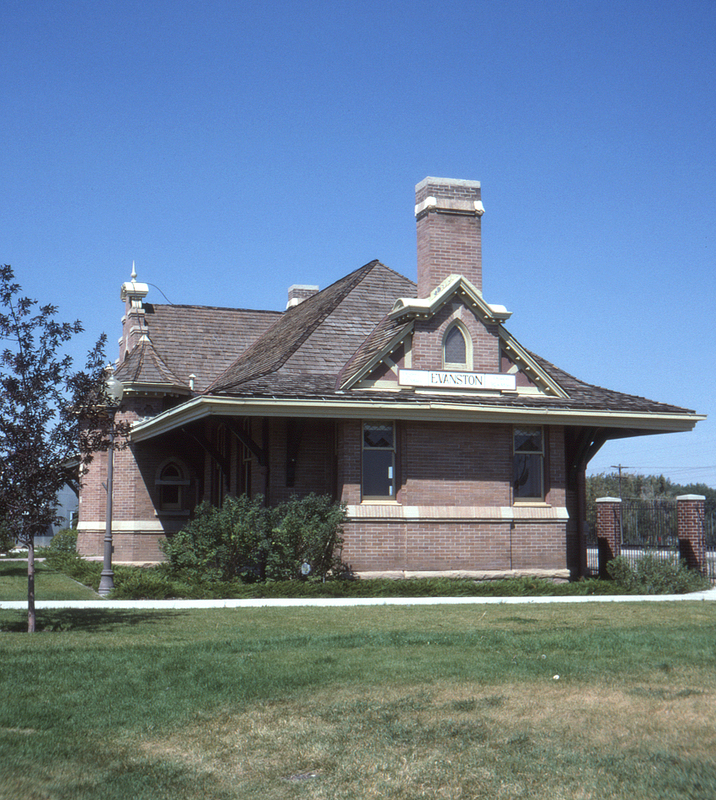 No longer used by Overland Route trains or Amtrak (the last regularly-scheduled train to stop here was in the early 1990s), Union Pacific's Evanston, Wyoming depot was donated to the city of Evanston in 1989. In 1996 it was still in an excellent state of repair. This page posted 11/1/2018. Text and photo ©2018 Lamont Downs.